While most people know their star sign, there is much more to astrology than this! In fact your star sign indicates only the Sun's position among the zodiac constellations when you were born. 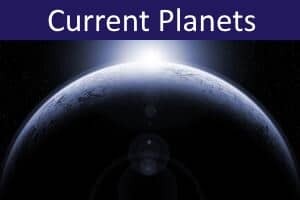 A full astrological analysis involves considering the positions, not only of the Sun, but also the Moon and all the planets. 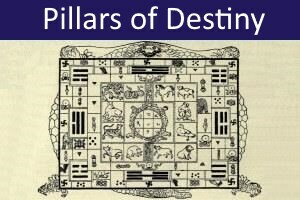 Other astrological features are also taken into account, such as the sign rising in the East (the 'Ascendant') and due South (the 'Midheaven'). For locations in the Southern Hemisphere, however, the Midheaven is due North. As well as their zodiac positions, it is also important to know which area of the sky each heavenly body occupies (i.e., its location in relation to the horizon), and also the angles they form with each other. The different areas of the sky are known as 'houses' (like the zodiac signs, there are traditionally 12 houses), while the important angles between the different bodies are called 'aspects'. 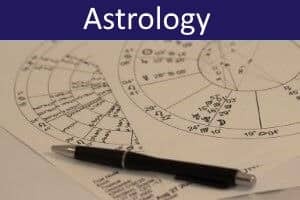 As you can imagine, calculating all of this information is a complicated task that, if done by hand, would take an experienced astrologer about an hour. Thankfully, modern software can perform these calculations in less than a second. 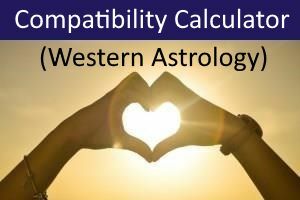 Once the chart has been calculated and drawn up, interpretation of the various astrological features can begin. 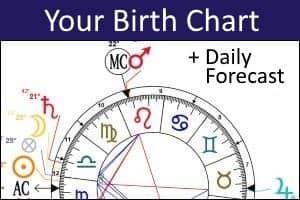 Chart interpretation involves considering and creatively synthesizing the symbolic meanings and associations that can be attributed to each planet (including Sun and Moon), depending on its zodiac sign, house position, and aspects. Interpretation also includes the important Ascendant and Midheaven. Other features may also sometimes be considered, such as the positions of major asteroids. Interpreting charts requires intelligence, skill, and subtlety. It is best done by a professional astrologer. However, advances in software mean that basic interpretation can also be automated. The astrological services provided on our site use these automated procedures. They are completely free to use and have the advantage of being instant and confidential. You can explore them using the links shown below.